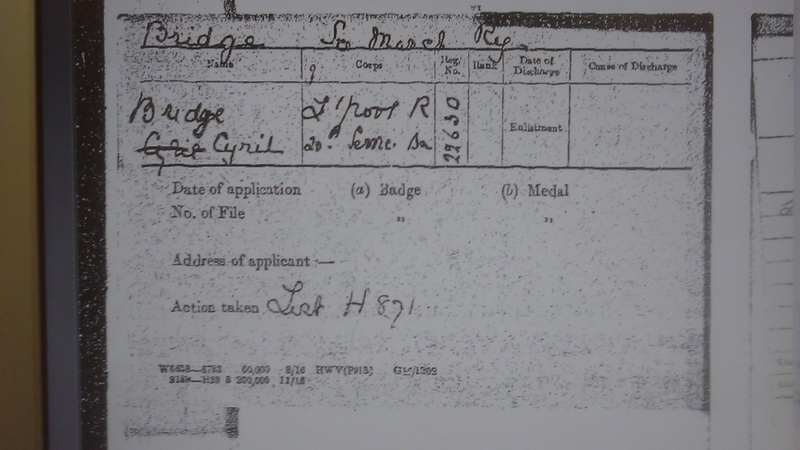 On the 9th Nov 1914, Cyril Bridge, who was 5ft 6 and aged 30, enlisted as a Private in the 4th K L C B (King's Liverpool City Battalion) (Regimental Number 22630), aka 20th (4th City) King's (Liverpool Regiment). 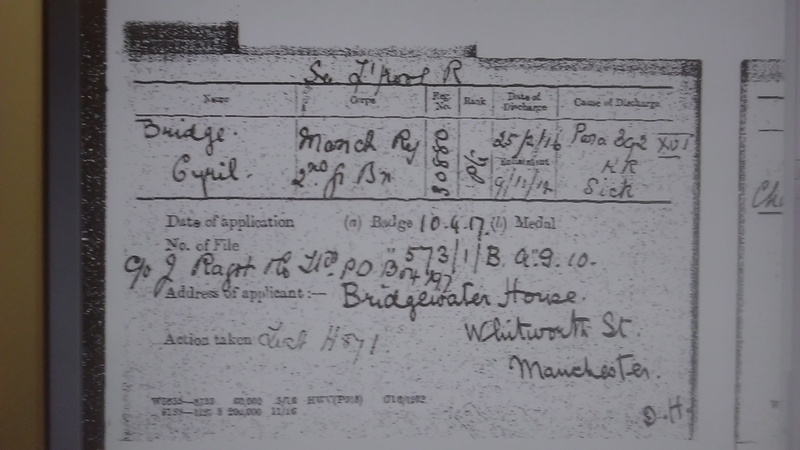 He did not serve abroad and was transferred on 8th October 1915 to the Manchester Garrison Battalion (Regimental Number 30880) due to a nervous breakdown and was discharged from the army on the 25th Feb 1916 as 'no longer physically fit' for military service due to a 'general nervous debility' which had its 'origin since childhood and not the result & not aggravated by military service'. 'During first 8 months in training appeared in general health. 5 months ago commenced to become very nervous & sleepless with loss of appetite. His character was described on dischage as 'very good'. Oldham, & received my discharge from there. He received a military pension of £25 a week. 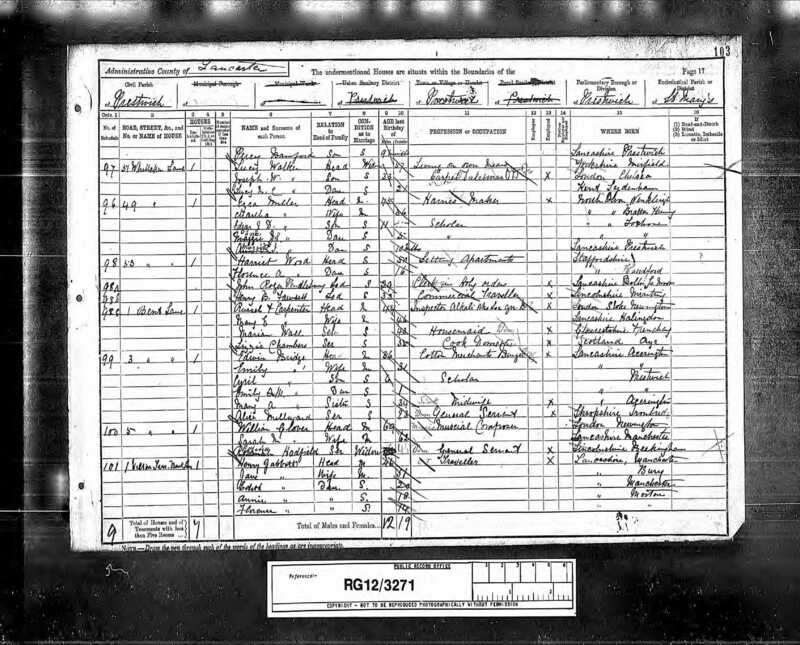 In the 1939 register, he was living at 37 Lulworth Road, Southport, Lancashire. 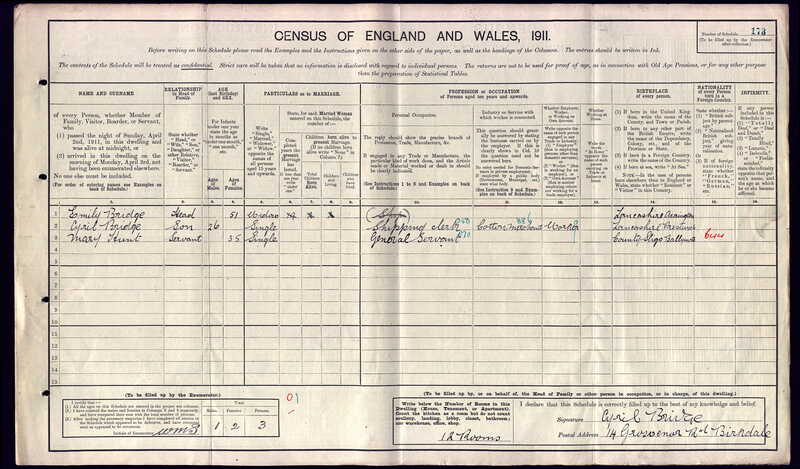 His occupation was a 'Shipping merchant retired'; he was living with his wife Beatrice A L Bridge (DOB 26 Jun 1884 - unpaid domestic duties) and Dora Cooper (Hesketh - DOB 04 Jul 1908 - domestic servant). He was listed as a 'volunteer owner driver'.